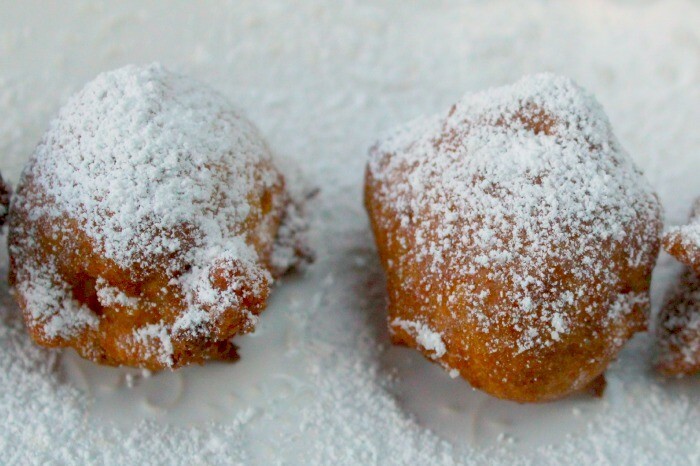 One of my all time favorite desserts is apple fritters. I first had them on a field trip with my kids to an apple orchard when they were little. These nuggets just melt in your mouth and are full of apple goodness. Some of my best memories of family fun is visiting our local apple orchard every year. When we started homeschooling, we made sure every year to plan two specific field trips — one to the pumpkin patch and one to the apple orchard. This is our last year of homeschooling and as I look back at all of our years being together, learning, living, and loving, I get misty eyed. I am going to miss all those special field trips and days spent piled up on the couch laughing about whatever book we just read. 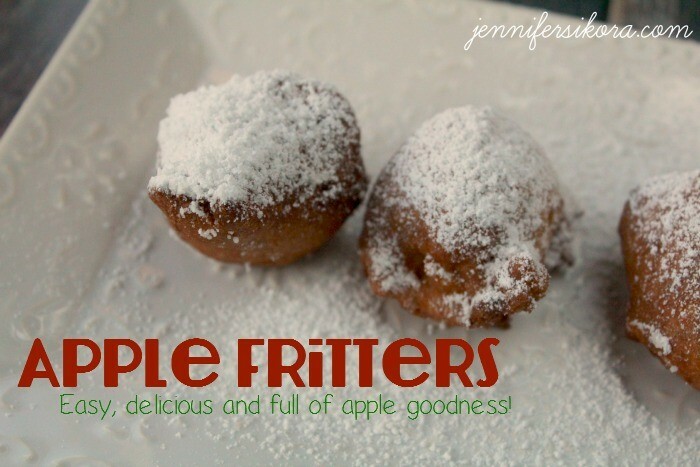 Making these apple fritters brings me back to those special apple orchard days — drinking apple cider, eating handheld fried apple pies (which my daughter says are the best ever), and finding just the right apples for all of our favorite desserts. 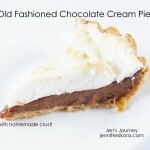 If you decide to make this recipe with your kids, I would love to hear about it. 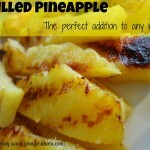 My daughter loves any recipes made with apples and this one is the best by far. Heat a couple inches of canola oil over medium heat. In a large bowl mix all the dry ingredients. 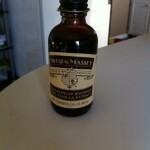 In another small bowl, whisk the butter, eggs, milk and vanilla extract together. Add the wet ingredients to the dry ingredients and stir using a wooden spoon. Add apples and stir so that everything is well incorporated. Drop teaspoons of the batter into the hot oil and fry until golden brown on each side. Repeat with remaining batter. 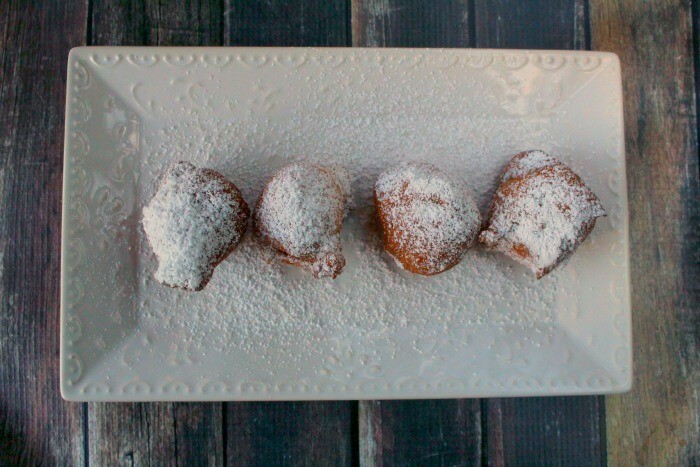 Dust with powdered sugar and serve warm. The batter is so simple to make, that I made it while the oil was heating up — which will literally take you really only 5 minutes to make this batter. 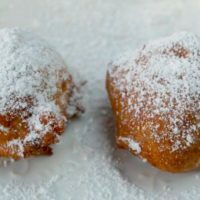 This recipe will make lots of apple fritters so there will be plenty to share with friends and family. 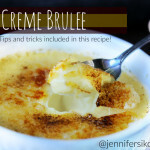 What is your favorite apple recipe?